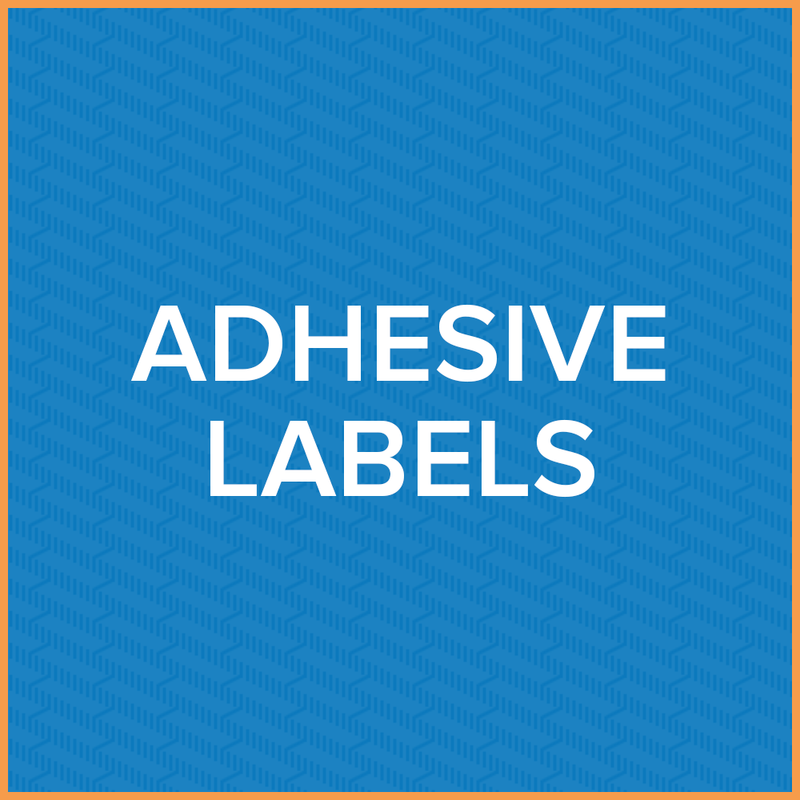 No matter what you need to stick your label to, we can customize your adhesive labels based on your exact application. We offer a wide array of sizes, materials, adhesives, PMS colors and finishing formats for your customized self-adhesive labels. From paper to durable synthetic stocks to rolled, sheeted, or fan-folded formats, we can do it all. R-E Solutions has been providing custom adhesive labels for nearly 40 years. Please request a FREE QUOTE below or call R-E Solutions at (405) 246-0417 for more information. We look forward to working with you! Needing an adhesive label quote? 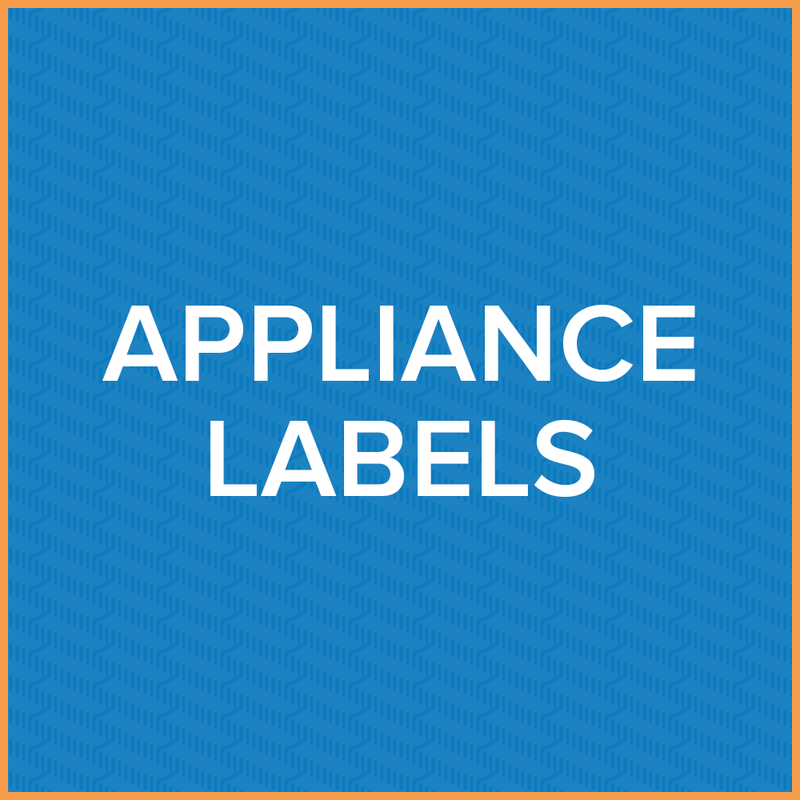 A custom-printed appliance label is a tool used by appliance manufacturers and re-sellers to label their products. At R-E Solutions, we can design, print and manufacture custom appliance labels to the exact specifications you need up to 18” in width by 24” in length. Some of the features include UL labels, alternating labels, piggy-back labels, special adhesives, pattern adhesives, difficult die cut-waste removed applications, multiple part forms and label-form combinations. We can also utilize thermal transfer, direct thermal, Tyvek, and durable appliance labels from 3M, Flexcon, Fasson, and more. R-E Solutions has been providing custom labels for nearly 40 years. Needing an appliance label quote? As one of the leading barcode label manufacturer in Oklahoma, R-E Solutions has the state-of-the-art technology needed to produce custom barcode and inventory barcode labels for your business. Our extensive knowledge and experience with customized solutions for your variable or static barcode labels and barcode symbology allow us to offer you the quality and precision you expect on your custom barcode labels, every time. Known throughout the industry for superior form labels, labels and tags, we serve clients in a broad range of industries, from retail to industrial, creating custom solutions that improve the way your business operates. Plus, all our barcodes are verified in-line, real time, so you can be assured that every barcode meets ANSI specifications. Thanks to our customization capabilities, R-E Solutions can create any and all kinds of barcode labels. Whether you’re looking for static or variable labels, ladder or picket labels, labels with variable font sizes, or labels that involve verification of custom-checked digits, we cover all of your needs. Talk to us about what you’re looking to accomplish with your labels, and we will work with you to create the best custom barcode labels possible. Our barcode labels are useful in a wide range of applications — from inventory management to industrial equipment labeling. Whether you’re looking for a better way to keep track of inventory, a tool to maximize production runs, a solution for organizing products or a way to label the items you sell, our barcode labels are the solution. You may even want to use custom barcodes to simplify business processes, enjoying a more efficient solution for admitting patrons, checking in guests and more. Are you interested in learning more about the inventory barcode labels we offer at R-E Solutions? Would you like a personalized consultation on how barcodes streamline your business? At R-E Solutions, we understand that you want the best in quality and service on your label solutions, and we’re here to provide exactly that. Talk to us today to get a free quote! R-E Solutions has been providing barcode labels for nearly 40 years. Needing a healthcare label quote? Hospitals, doctors’ offices, pharmacies, laboratories, and drug manufacturers require custom healthcare labels for numerous purposes. R-E Solutions has a wide range of custom capabilities for producing medical labels including patient ID labels, wristbands, pharmacy labels, color coded kit labeling, lab specimen and testing kit labels, and label and form combinations. Our products are top grade and built to last. Whether you need standard format chart labels or custom medical labels, R-E Solutions can provide a customized solution. R-E Solutions manufactures standard or custom industrial labels—ranging from labels to assist with shipping to those for asset management—based on your individual requirements. We have the technology and design abilities to use multiple materials for the application needed. Other capabilities for a custom industrial label include barcoding, consecutive numbering, extreme temperature labels, and thermal transfer labels. We create the tough and durable labels, industrial companies demand. Needing an industrial label quote? We provide custom applications for pressure sensitive labels that meet your specific demands. A pressure sensitive label features adhesive glue that adheres to most surfaces when pressure is applied to the stock, whether it is made from paper or synthetic materials. Once the product requirements have been determined, R-E Solutions' team can work with you to decide on the best adhesive for your custom pressure sensitive labels. Thousands of sizes and shapes are available as well as bar coded, thermal transfer, and direct thermal options. Needing a pressure sensitive label quote? Our custom return labels will improve your customer service objectives by making the return process easy and convenient for both your customers and your shipping and receiving staff. Product returns from the end user can be difficult to manage; however by pre-printing your UPS, FedEx or USPS labels with R-E Solutions, we can streamline and simplify your reverse logistics. For example, we developed pre-printed return labels with durable adhesives that allow the customer the convenience of simply peeling the return shipping label and applying it to their return package. Look no further for the perfect return label. Needing a return label quote? Security labels or tamper-proof labels are vital to products at risk from intrusion or destruction. Custom security labels can be designed for specific purposes, and our team of label specialists can work with you to meet specifications and requirements and plan tamper resistant or tamper evident custom security labels. Protect your products, your business, and your reputation with security labels from R-E Solutions. Needing a security label quote? Shipping labels empower your business to smoothly and effectively move packages throughout the supply chain. By communicating key data, they eliminate unnecessary steps and manpower, and, by automating the data transmission, they increase accuracy and reduce user error. To help you make the most of the benefits of shipping labels, at R-E Solutions, we offer automatically generated custom shipping labels that help simplify and speed up your shipping process — so you can avoid delays, improve logistics and boost business efficiency in the process. The beauty of custom-designed shipping labels is that they communicate key information needed in logistics. Attached to shipping units, they feature data relevant to those units, informing every part of the supply chain about where a specific item comes from and where it’s going. Once adhered to a given item, an adhesive shipping label communicates information about the sender, the recipient and, through a computer-readable code, details about the relevant postal code, country code, service class, tracking number, date, package quantity, address validation and more. 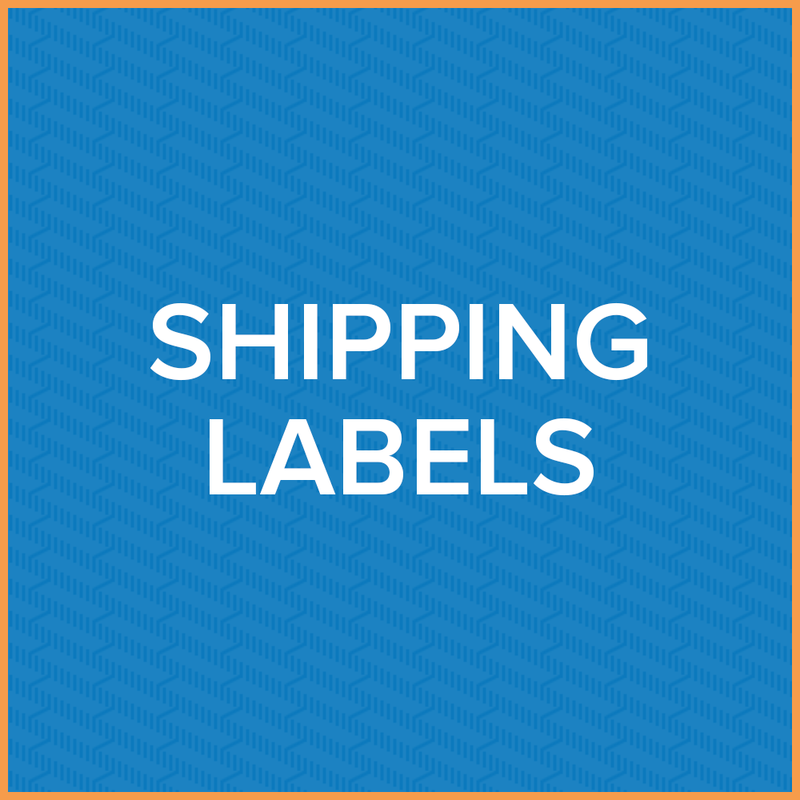 Custom shipping labels have numerous applications in warehouses, factories, manufacturing plants and the transportation industry. Essentially, any business that needs to move products, parcels or files can benefit from the added efficiency and convenience of giving each shipping item an integrated shipping label. When your business needs customized shipping labels, R-E Solutions is your resource! Recognized leader in innovative print solutions, R-E Solutions is proud to offer quality shipping labels as part of our diverse range of printed products. Based upon your individual specifications, R-E Solutions can create shipping labels with barcodes and consecutive numbering. These labels will expedite the way you’re able to process and transport shipments, improving business efficiency and profits in the process. What’s more, at R-E Solutions, we can also manufacture extreme-temperature labels and thermal transfer labels to best suit your application in any environment. Whatever your industry and product type, just tell us what you need, from printable to adhesive or simply blank, and we will make it happen! Needing a shipping label quote? R-E Solutions has the advanced technologies for thermal transfer applications to meet any of your demands. We provide thermal transfer labels with multiple options including custom size, die cut, or flood coating to best serve your application. We also have a wide range of high quality ribbons and can help you to determine the proper ribbon for your specific thermal transfer label. You won’t find a more thorough custom thermal labels company on the market. 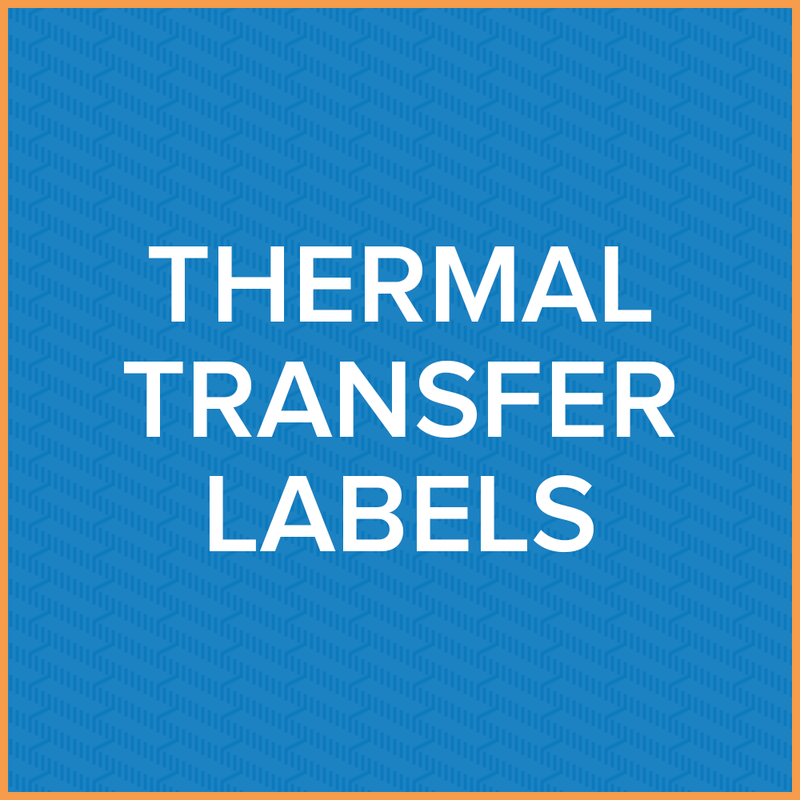 Needing a thermal transfer label quote?